WASHINGTON - Republican lawmakers told Attorney General Eric Holder on Thursday to fire some Justice Department subordinates over the flawed arms-trafficking investigation called Operation Fast and Furious. At a House Judiciary Committee hearing, Rep. Jim Sensenbrenner of Wisconsin said impeachment is an option if Holder does not "clean up this mess" quickly. Sensenbrenner and other Republicans hold the attorney general responsible for the operation, in which federal agents failed to track illicitly purchased weapons that were later recovered in Mexico and the U.S., many of them at crime scenes. "If you don't get to the bottom of this," there is only one alternative, and "it's called impeachment," said Sensenbrenner, without specifying whom he had in mind. "Why haven't you terminated the people involved?" asked Rep. Darrell Issa, R-Calif., who chairs the House Oversight and Government Reform Committee that is investigating the arms-tracking operation. Issa pressed Holder to appear before the congressman's committee and the attorney general said he would consider the request. Issa said that the Justice Department has turned over 5,000 emails to the committee about Operation Fast and Furious, but "not one of these emails is yours." Holder said his department's response to the committee's document requests has been "fulsome." The attorney general, the sole witness at Thursday's hearing, said it was inexcusable for the Bureau of Alcohol, Tobacco, Firearms and Explosives to use a controversial tactic known as "gun-walking" in its effort to identify and prosecute major arms trafficking networks along the Southwest border. The Justice Department has long prohibited the tactic. The operation's goal was to follow the gun supply chain from small-time gun buyers at a number of Phoenix-area gun shops and make cases against major weapons traffickers. In the process, federal agents lost track of many of the more than 2,000 guns linked to the operation. House Judiciary Committee chairman Rep. Lamar Smith, R-Texas, said the Justice Department had given inconsistent statements about what Smith called "a reckless and dangerous law enforcement program." Smith said many questions remain about who authorized the operation. In Operation Fast and Furious, two of the guns purchased at a Phoenix gun store were recovered from the scene of a shooting that killed border agent Brian Terry on the U.S. side of the border. "We do not know who the particular person was" who decided that "this flawed operation should be conducted," Holder said. Amid probes by Republicans in Congress and the Justice Department's inspector general, the department already has replaced U.S. Attorney Dennis Burke in Phoenix, acting ATF Director Kenneth Melson and the lead prosecutor in Operation Fast and Furious. Holder said he is prepared to take other steps, and said additional personnel changes are a possibility. The inspector general's office at the Justice Department is investigating what went wrong in Operation Fast and Furious, but "that does not lessen the responsibility I have as head manager," he said. Sensenbrenner told Holder that "I don't want to say you have committed a felony," but pointed to the Justice Department's decision last week withdrawing an inaccurate letter to Congress last February. The February letter said the ATF makes every effort to intercept weapons that have been purchased illegally  an assertion that was wrong. No one at the Justice Department was lying, Holder said. He said department officials based their conclusion in the letter on the best information they had at the time from the Phoenix offices of ATF and the U.S. Attorney. Operation Fast and Furious was "a regional operation" and not "top to bottom," said Holder. The controversial tactic at issue in the operation was not a decision made in Washington, Holder said. On Wednesday, the senior Republican on the Senate Judiciary Committee, Chuck Grassley, whose inquiry brought the tactic used in Operation Fast and Furious to light, called for the resignation of one of Holder's top aides, criminal division chief Lanny Breuer. Breuer has said he made a mistake in not telling Holder and Deputy Attorney General James Cole that the controversial gun-walking tactic had been used in an earlier ATF probe called Operation Wide Receiver, which Breuer had known about since April 2010. Grassley said that in addition to not informing his superiors, Breuer gave misleading answers when the senator asked whether Breuer had reviewed a Justice Department letter to Congress last February that said ATF makes every effort to intercept weapons that have been purchased illegally  an assertion that was incorrect in both Operation Wide Receiver and Operation Fast and Furious. Breuer told Congress he cannot say for sure whether he saw a draft of the inaccurate letter and that he has no recollection of having done so. At the time the letter was drafted, Breuer told one of the letter's main drafters, "As usual, great work." Breuer "needs to go immediately," Grassley said. In response, Justice Department spokeswoman Tracy Schmaler said Breuer has acknowledged his mistake to Congress and to the attorney general and said Holder "continues to have confidence in assistant attorney general's Breuer ability to lead the criminal division." Schmaler said Breuer's division has led important prosecutions against high-ranking gang members, secured the extradition of dangerous fugitives and spearheaded efforts with Mexico to enhance that country's law enforcement capacity. There are also questions about whether the ATF tried to use the gun-walking policy to push controversial new rules about gun sales. Documents obtained by CBS News show that officials discussed using dealers' sales, including those encouraged by the ATF to justify a new gun regulation called "Demand Letter 3." That would require some U.S. gun shops to report the sale of multiple rifles or "long guns." Demand Letter 3 was so named because it would be the third ATF program demanding gun dealers report tracing information. "There's plenty of evidence showing that this administration planned to use the tragedies of Fast and Furious as rationale to further their goals of a long gun reporting requirement. But, we've learned from our investigation that reporting multiple long gun sales would do nothing to stop the flow of firearms to known straw purchasers because many Federal Firearms Dealers are already voluntarily reporting suspicious transactions. It's pretty clear that the problem isn't lack of burdensome reporting requirements," Grassley said. 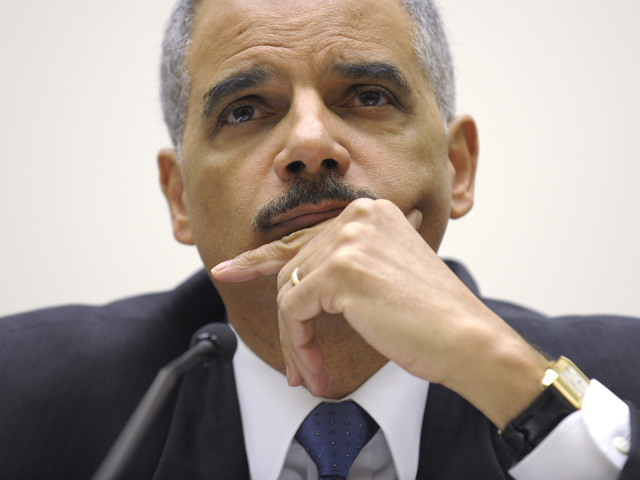 Grassley and Rep. Darrell Issa, R-Calif., wrote Holder a letter in July asking if officials in his agency discussed how "Fast and Furious could be used to justify additional regulatory authorities." So far, they have not received a response. Justice Department officials also wouldn't comment to CBS News on whether gun-walking was used to support tighter regulations. CBS News investigative correspondent Sharyl Attkisson contributed to this report.